The University of Utah Seismograph Stations reports that a minor earthquake of magnitude 3.6 occurred at 07:11 AM on February 28, 2018 (MST). The epicenter of the shock was located in southwestern Utah near Hatch Mountain, 12 miles SSW of Panguitch, UT. This event was reported felt mostly in Panguitch and surrounding areas. A total of 16 earthquakes of magnitude 3 or greater have occurred within 16 miles of the epicenter of this event since 1962. The largest of these events was a magnitude 3.9 on December 21, 1991, 15 miles WSW of Tropic, UT. 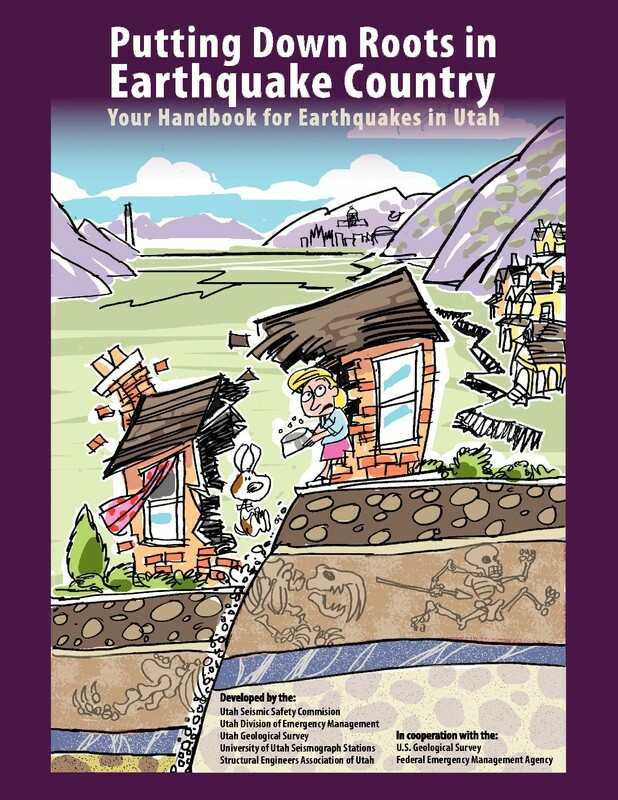 A magnitude 4.6 earthquake occurred on April 20, 1991, 13 miles SE of Minersville, UT. In spring 2013, observation systems at Utah’s Bingham Canyon copper mine detected ground movement in a hillslope surrounding the mine’s open pit. Out of caution, mine managers evacuated personnel and shut down production, waiting for the inevitable. On April 10, at 9:30 p.m. and again at 11:05 p.m., the slope gave way and thundered down into the pit, filling in part of what had been the largest man-made excavation in the world. Later analysis estimated that the landslide was at the time the largest non-volcanic slide in recorded North American history. Now, University of Utah geoscientists have revisited the slide with a combined analysis of aerial photos, computer modeling, and seismic data to pick apart the details. The total volume of rock that fell during the slide was 52 million cubic meters, they report, enough to cover Central Park with 50 feet of rock and dirt. The slide occurred in two main phases, but researchers used infrasound recordings and seismic data to discover 11 additional landslides that occurred between the two main events. Modeling and further seismic analysis revealed the average speeds at which the hillsides fell: 81 mph for the first main slide and 92 mph for the second, with peak speeds well over 150 mph. The study shows how the team’s methods can be used to remotely characterize a landslide, and the details they elicited from the data may be useful in planning for and modeling future landslide events. The results are published in Journal of Geophysical Research-Earth Surface.